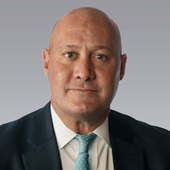 As a 33-year veteran and executive vice president with Colliers International’s Occupier Advisors Group, I help grow the company’s tenant representation platform in Chicago while also performing national corporate services work. Throughout my time in the industry, I have represented Fortune 500 companies in metropolitan Chicago, Kansas City and nationwide. My more than 1,000 office leasing and consulting assignments total over 25 million square feet and are valued in excess of $5 billion. My assignments in over 90 U.S. cities have ranged from 1,000 to 900,000 square feet. Strategic multi-market accounts I have assisted include: NAVTEQ, RH Donnelley, HNTB Corporation, Koch Industries, Hallmark Corporation, Wausau Insurance Companies, Compuware Corporation, McDonald’s Corporation, DST Systems, Stinson Leonard Street LLP, Husch Blackwell LLP, Hub Group, Inc., Nationwide Insurance, Wausau Benefits, Konica Minolta and Nokia. 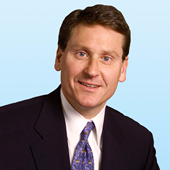 Prior to joining Colliers, I spent eight years with Grubb & Ellis where I specialized in office tenant representation in metropolitan Chicago and nationally for my strategic multi-market clients. I also served as the executive director of real estate and co-managed the tenant representation group at Insignia/ESG. I also worked for U.S. Equities Real Estate Services for eight years and Royal LePage Commercial Real Estate Services.